Our "Girls" are a special group. 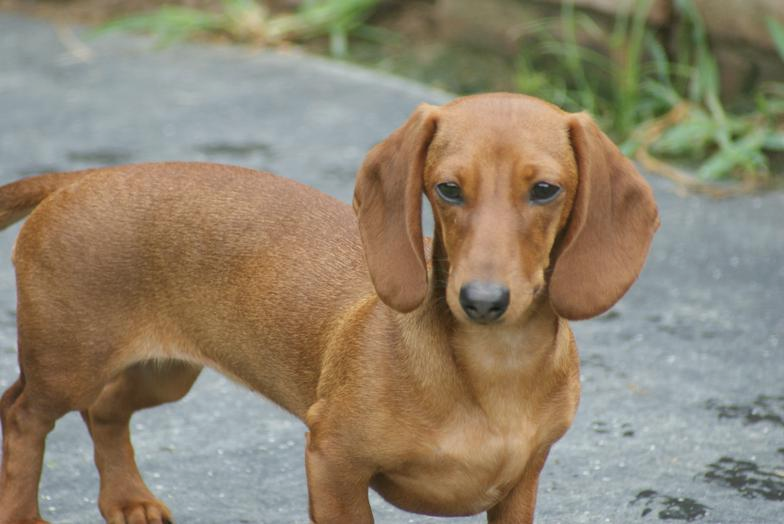 Various coats, colors, and size allow for selective breeding resulting in high quality healthy puppies with good conformation and temperament. 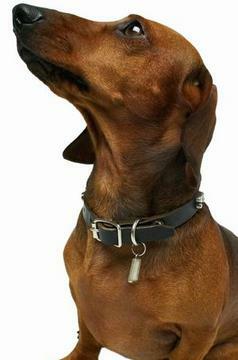 Veterinarian prenatal examinations complement our thorough and well-conceived pairing process. Presently we have puppies, their parents, and their grand parents allowing us to display past generations of our quality breeding program. 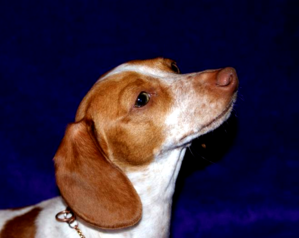 Savanah, Red Piebald smooth and Lady, a Red Smooth are half sisters that act like twins. They could be bookends. 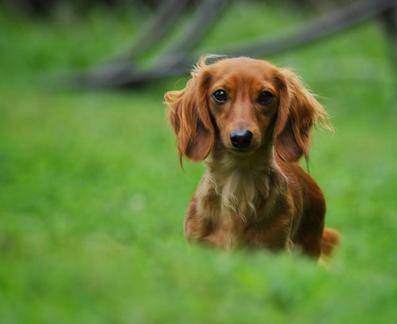 Chessie is a small red long coat mini that is a great mom! 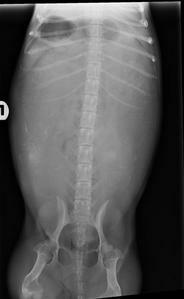 This study reported 4 pups and were surprised when the 5th pup arrived! 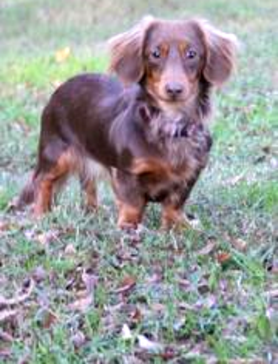 Darcy entered our breeding program in 2016. 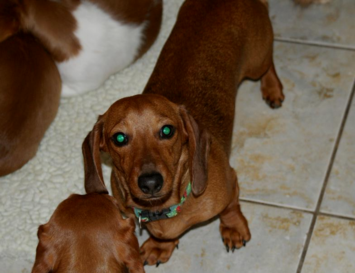 She is a chocolate and tan long coat with great standards, that now is living with her new family in Ontario Canada.